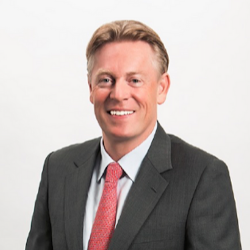 Michiel Verhoeven is Senior Vice President, Head of Digital Business Services for SAP, responsible for the strategy, operations and P&L of the consulting sales, delivery and support services organization across Asia Pacific and Japan (APJ). In leading the Digital Business Services team in APJ, he oversees SAP’s commitment to be the enabler of the Intelligent Enterprise for customers across 25 industries in this region. Under his leadership, SAP services and support help customers realize digital transformation journeys, as well effectively use their data assets to achieve desired outcomes faster and with less risk. Michiel has gained extensive global business leadership experience, having lived and held executive positions in the Netherlands, USA, France, and Singapore with companies including Microsoft, webMethods and KPMG Consulting. Throughout his career, he has built a reputation as a passionate people-centric leader with a strong commitment to customer satisfaction through the successful deployment and adoption of innovative technology solutions. Michiel earned his MBA from the Wharton School, University of Pennsylvania, and a bachelor’s degree in accountancy from the Haagse Hogeschool in the Netherlands.